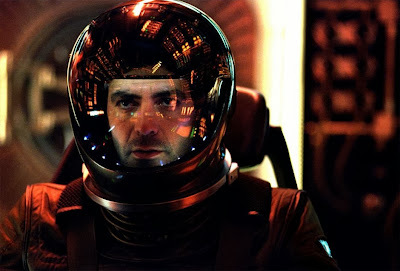 Steven Soderbergh's "Solaris" plays like a blender working overtime on the puree dial, mix-mashing character conflicts, fated love stories, scientific mysteries and visual wonders so savagely that we're never given the opportunity to see the result materialize. It's not hard to accept that a lot of time and effort went into putting a film of this extreme detail together (note that James Cameron is one of the primary producers), but it's considerably more difficult to assume why anyone even bothered, especially since the outcome fails to barely come off as anything resembling a finished product. The movie is more like a series of vague outlines than a completed opus, touching base with lots of bright ideas without actually pulling through with a full treatment. The film stars George Clooney as Chris Kelvin, a lonely and semi-despondent psychiatrist who, in early scenes of the picture, hears the endearing voice of his mysteriously absent wife echo through his mind as he blankly stares off into nothing. Shortly following a series of these similar sequences, he is summoned by a close colleague via a space video feed to the orbit of the planet Solaris, a recent discovery that, we assume, humans have been studying closely to better understand. 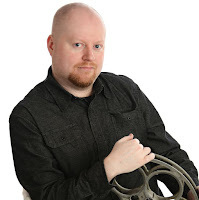 Chris catches a tone in the voice of his close fried that something is amiss aboard that station, and without hesitation he picks up what there is of his life and follows through with the request. His arrival, naturally, isn't exactly the most pleasant (or expected) one. His good friend is dead. Others appear to have died as well. The ship harvests only two surviving passengers—one, a crew hand named Snow (Jeremy Davis), the other, a reclusive scientist named Helen Gordon. Chris senses something strangely amiss between the survivors (not to mention their vague reasoning as to why they're being forced to stay in orbit with Solaris), but they don't feel obligated—not even when a little boy seems to pop up in corridors for a brief moment here and there—to explain the exact cause. "There's no sense in discussing it," Helen mutters, "until it happens to you." That night, Dr. Kelvin goes to sleep with his mind flooded with memories of his now-deceased wife Rheya (Natascha McElhone); later, he wakes up to find her lying by his side, unchanged and seemingly unalarmed by the notion that they have been apart for so many years (or that she committed suicide). Shocked and bewildered beyond comprehension, Chris doesn't even ask questions beyond the essential ones—"If you're really Rheya, describe our home"—and even when she is able to answer them correctly, he still doesn't believe what he's seeing, and disposes of her by launching her off the ship. The next night, however, the memories return, and Rheya is once again alive and breathing in his bedroom, somewhat oblivious to her own recent past (or that she was even there the night before). So what actually does happen that so unnerves the survivors of the ship? A fascinating prospect, actually: the planet Solaris, it is explained, feeds off of the memories of its hosts and recreates the people whom are the subjects of them. As astonishing and joyous as this experience is for Chris, however, the manifestation of his wife—like every other, we gather—comes with a devastating price. Solaris doesn't actually create identical copies of human beings that once meant something important to those who think about them—-it simply externalizes them based on recollections and feelings, which can result in something destructive should those emotions or memories be distorted in the least. As Kelvin stares into the blank stares of his recreated wife, answering her many questions regarding the journey that landed her there, he realizes that he probably didn't know her as well as he would have liked to. The one constant in his image of Rheya is that she was suicidal (excusable considering how her life ended) and that sentiment is projected onto the being's persona. The central theme of "Solaris" is obvious—how well do you really know someone in your life?—but none of its others qualities are quite that specific. The movie is painfully dreary and slow, believe it or not, and not just because its characters sometimes begin lines of dialogue without actually finishing them (the Snow character, for instance, stutters his way through simple words and phrases, but cuts off his explanation unexpectedly and closes the discussion with a grunt, or the occasional "Hmm... Yeah."). As players hop through scenes, discuss their findings and beliefs and rush right back off to stare off into space for what seems like hours, the camera inter-cuts between empty shots of ship halls and colorful ones of Solaris itself, and the soundtrack thumps like a discarded demo tape from the latest techno prodigy. Never mind the fact that the movie is only 99 minutes long; this particular detail is simply a mask over the movie's biggest qualm, which is that has no action, no momentum and lacks the genuine interest to hold any kind of respectable pace. It just sort of grinds its way through the dry material, depleting all the energy of its viewers before it tricks them into believing there will be a worthwhile outcome. The movie has minor touches of brilliance, however. I generally liked the film's vague introduction of characters and conflicts (even though they never escalated to detail), and the sequence in which Chris journeys to the space station near Solaris is quite extraordinary, with satellites and ships gracefully dancing together as a bright orb of energy throws its brilliant light across their rigid surfaces. 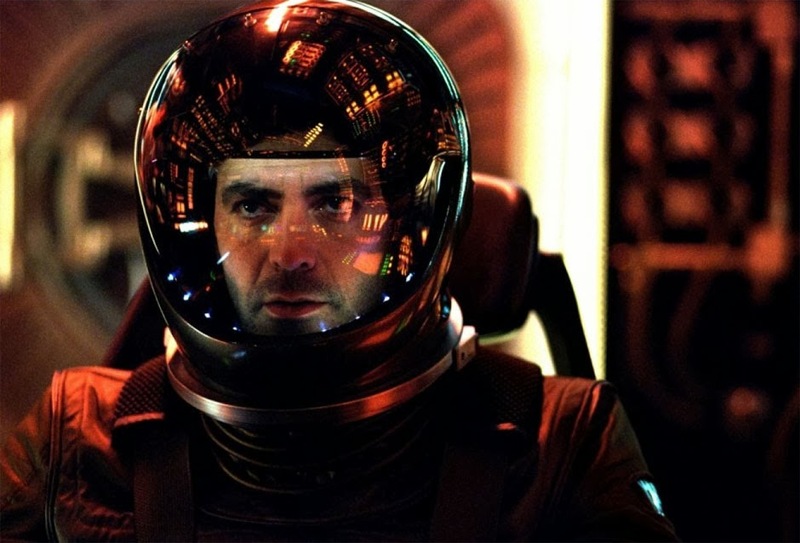 But this is not the "Solaris" we should have gotten in the end, and though Soderbergh's script does have some conceptual weight, it is completely dissonant with his trite direction. Stars like Clooney and McElhone will have you believe that they hold out on movie offers until something truly extraordinary catches their eye, but if that's the attitude they carried with them when they were hired for this endeavor, there must have been some serious brainwashing involved.